Looking for black singles? 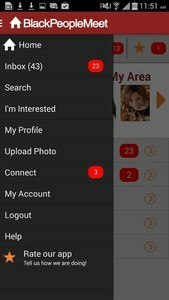 BlackPeopleMeet Dating - #1 App for Flirting, Messaging, and Meeting Local Single Black Men and Black Women. The largest subscription site for black singles now has the best dating app for black singles and black dating. Download the OFFICIAL BlackPeopleMeet app and start browsing for free today! Meet the one you’ve been missing, anywhere you are. * View profiles with photos and complete profile info. * Are You Interested - Swipe to meet black singles. Meet black men and meet black women with the official blackpeoplemeet dating app. It is the best way to meet black singles. BlackPeopleMeet.com has built the largest community of African-American singles looking for love, relationships, friendship and dates. Our mission is simple: Creating Relationships. Connecting Lives. Black dating has never been so easy. BlackPeopleMeet provides a simple, safe and fun atmosphere which makes it easy to quickly view and contact thousands of black singles in your area. 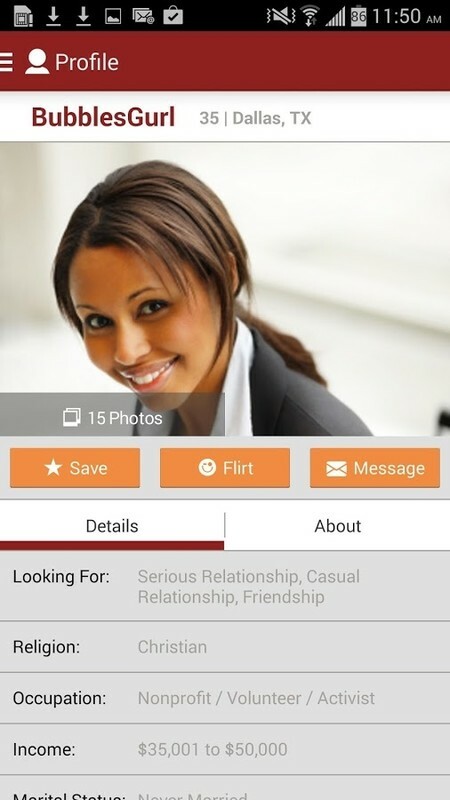 Beyond typical online dating, BlackPeopleMeet is a focused community dedicated to black dating. No need to bother with any other dating sites. Millions of singles are trying online dating sites and if you want to be a part of the largest black dating site in America and want to meet black singles in your area sign up now. Get the best black dating app today and meet single men or women near you!